Nattokinase is well known for its fibrinolytic activity which breaks down excess fibrin circulating in the system, and promotes healthy fluidity of the blood. The benefit of natto as a “blood cleansing food” has been well known in Japan for generations. Natto Activ is free of pesticides, chemicals, preservatives, animal derivatives, yeast, fish or shellfish, peanuts, and tree nuts. 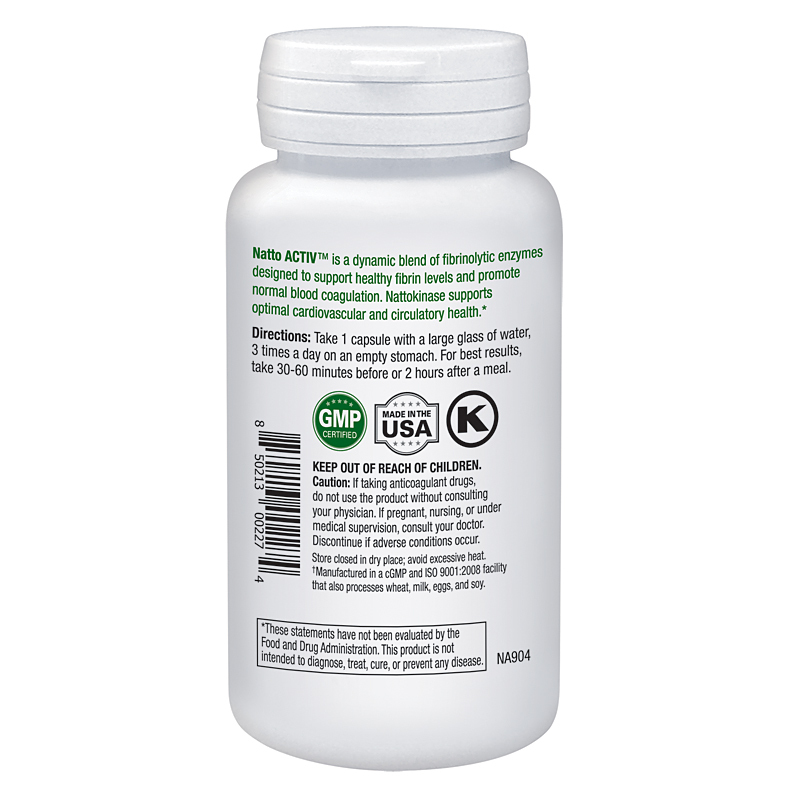 All individual enzymes and probiotics are kosher-certified ingredients, and suitable for vegetarians and vegans. Our blood plasma contains soluble protein called fibrinogen which is circulated to all corners of the body in our blood vessels. When fibrinogens come upon a damaged blood vessel wall, they are converted into fibrin, a mesh-like formation, which strengthens a blood clot physically and chemically. This is a normal and healthy reaction to an injury, and it is how our body stops bleeding. However, just like anything else in our lives, too much of a good things is a bad thing. An overabundance of fibrinogen in circulation can worsen various cardiovascular conditions like atherosclerosis which can lead to a heart attack or stroke. Much the same mechanism used to stop bleeding by strengthening blood clot, fibrinogen and fibrin can strengthen fat deposit along the interior walls of arteries. This makes it difficult for our body to remove the fat deposit. Eventually, the blood flow is impeded to such extreme that organs stop functioning properly. 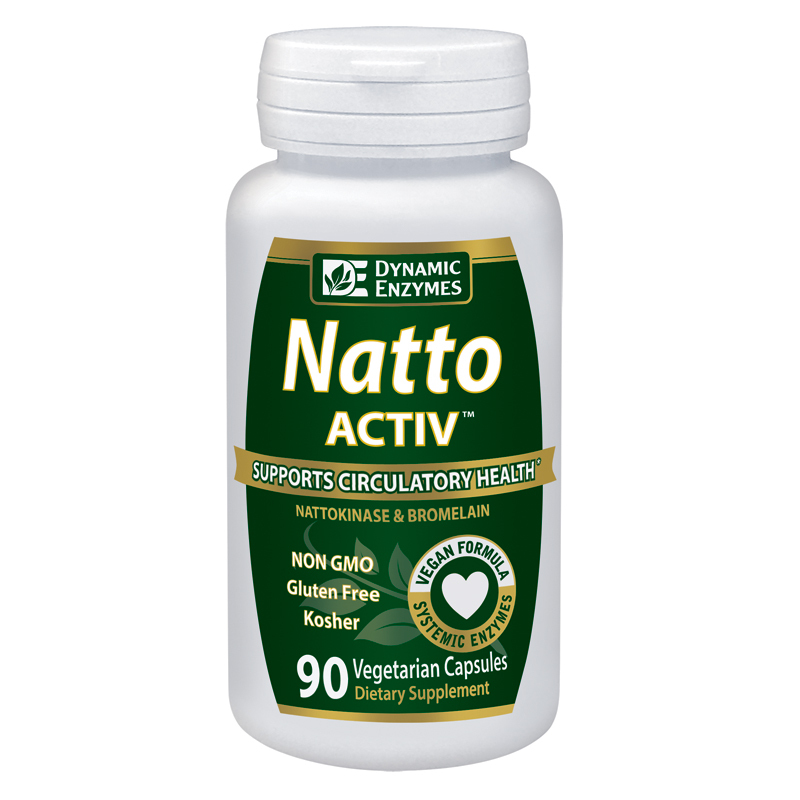 Natto ACTIV is a professionally blended enzymes designed to support healthy fibrin levels, allowing normal blood coagulation while slowing fibrin overproduction. 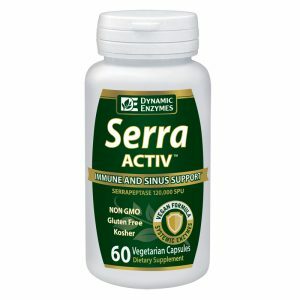 Natto Activ offers potent nattokinase activity accompanied by powerful anti-inflammatory enzymes such as serrapeptase, bromelain and papain. 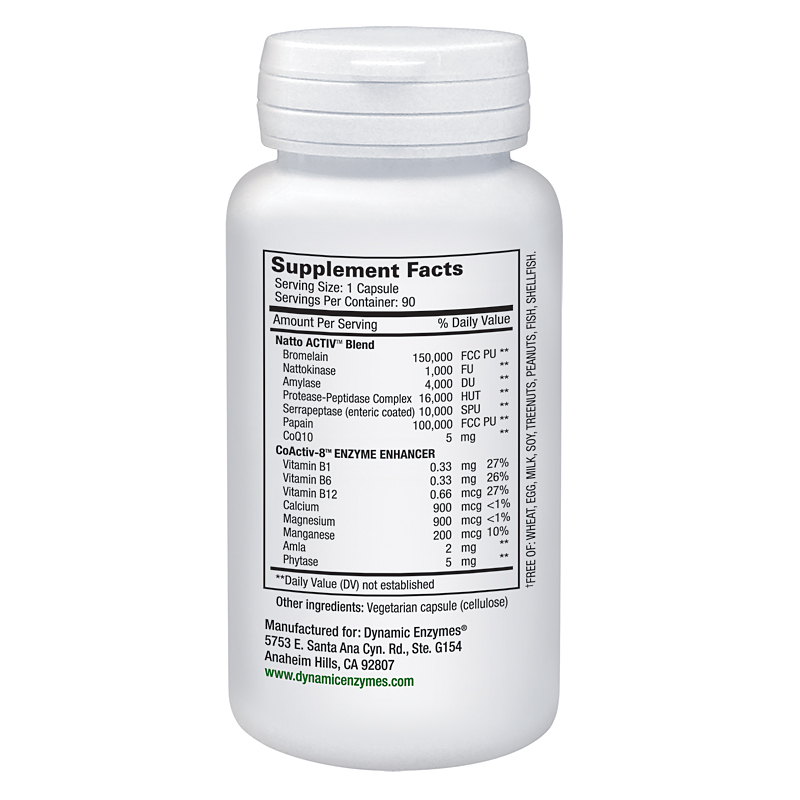 Natto Activ is one of the strongest fibrinolytic formulas on the market. It is manufactured in a ISO 9001:2000 and GMP certified facilities, and undergoes rigorous quality testing. In addition, Dynamic Enzymes’ signature CoActiv8 enzyme enhancer ensures all of our enzymes work to their fullest potential, setting us apart from the rest. Take 1 capsule 3 times a day on an empty stomach with a large glass of water, ideally 60 minutes before or 2 hours after a meal. The purpose of avoiding food when taking a systemic enzyme is to ensure that these enzymes travel to the small intestine with little to no interference from other sources of proteins, fats, or carbohydrates. Where can I get Natto Activ? Natto Activ can be found nationwide! Please take a look at our store locator to find a store near you, or purchase online directly from us.